The song can be seen as a pretty blunt reference to Judas' betrayal of Jesus. The lyrics of the first verse discusses The Last Supper that Jesus had with his Apostles; the second is about Judas identifying Jesus with a kiss on the cheek in the Garden of Gethsemane; and the final verse's lyric is about Judas' suicide after being overwhelmed with guilt and sadness at his betrayal of The Son of God. U2 often play this song in concert, in recent years it has been reworked somewhat, it's become quite a ferociously played song and is a fan favourite. 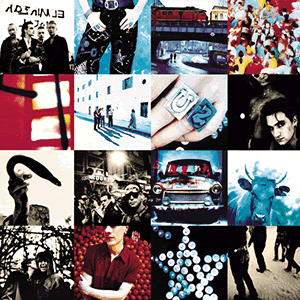 Check out U2's lyrics to One or The Fly also from Achtung Baby .